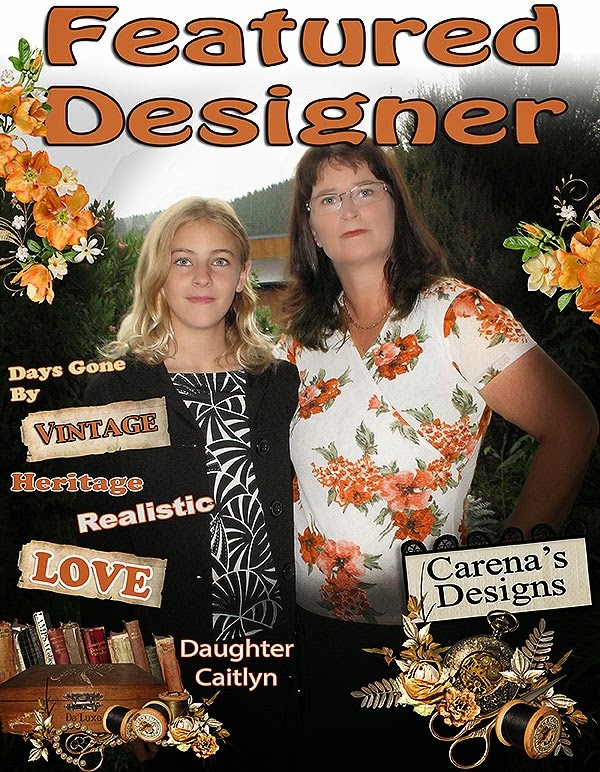 MyMemories Blog: Today's Daily Designer....Carena's Designs! Welcome to the readers. I'm 46 year old designer who loves to design with realistic floral elements. 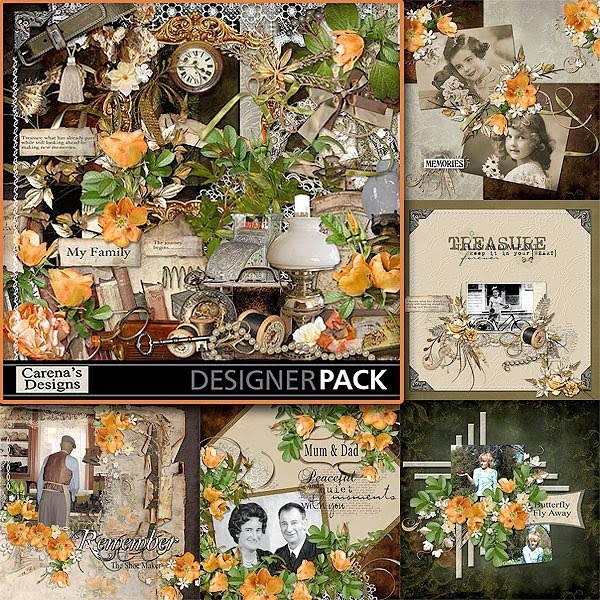 I wanted today to share with you a little about my most favourite go to kit called: Days Gone By - by Carena's Designs. This kit is so easy to use and it seems every page goes together with ease. It not only works well with heritage layouts but also for modern day photo's also. It's a MEGA Sized kit that offers enormous amounts of variety. The perfect kit if you are planning on making a large number of pages into a BIG ALBUM as it offers everything you will need and the variety so you pages will still look very different from each page. No need to repeat similar looking pages in your album - Create something really special. Please check it out in store, it's my GO TO kit everytime and I'm sure it will be your favourite too! Find Carena's Designs on these social sites! Enjoy 35% off Carena's Designs!